Hi and Welcome to ARaction’s Community Forum! We have collected some information for you to quickly find what you need. Please read this post before you post your own questions in the forum. 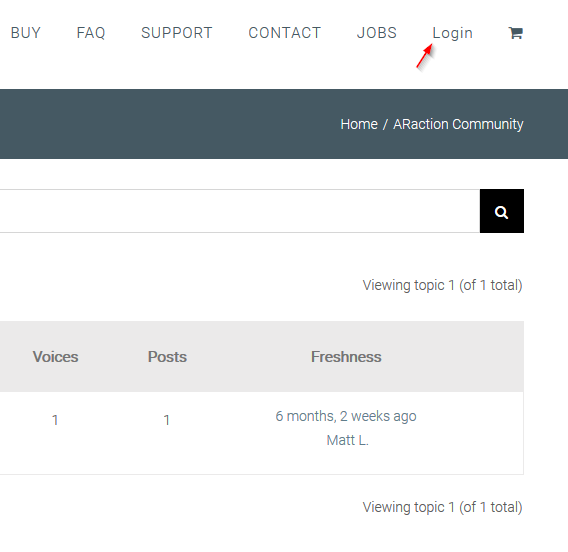 This forum is a place where ARaction users can exchange their experiences, help each other or share their feedback. It is NOT meant for contacting the official ARaction support – though it might happen that ARaction’s support team will answer posts here from time to time. If you have a valid support contract and your request is urgent, please use our official support channels instead. Maybe someone had a similar question before. Only post your question if you are sure that it has not been asked before. Pretend you’re talking to a busy colleague and have to sum up your entire question in one sentence: what details can you include that will help someone identify and solve your problem? Include any error messages, screenshots or unusual circumstances. Spelling, grammar and punctuation are important! If you’re not comfortable writing in English, ask a friend to proofread it for you. In the body of your question, start by expanding on the summary you put in the title. Explain how you encountered the problem you’re trying to solve, and describe any difficulties that have prevented you from solving it yourself. How do I sign up to the forum? If you have booked ARaction FREE, BASIC or PRO already, you can use the same account like you used at the checkout. 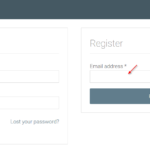 Just click on [Login] on the upper right of this website and enter your email address and password into the login box. Just click on [Login] on the upper right of this website and enter your email address into the register box. We will send the password to your email address and you can login then. Posts in the support forum must be either questions about the use of products listed here or answers to those questions. 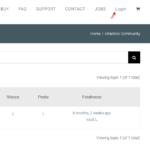 Users who post about subjects that are not support requests for these ARaction products will be directed to an alternative discussion forum or the post might be deleted. Users who post forum spam will have their posts removed. If a post that is otherwise appropriate includes links considered to be spam, these links will be removed. You can add images, such as a “screenshot” of your computer or mobile device screen. Added images or other media must help explain an ARaction problem or solution. Inappropriate media will be removed. Note: Basic instructions for creating a screenshot are given here: How do I create a screenshot of my problem? Don’t post any sensitive information. NEVER post your email address, login credentials or full name. Everyone on the internet can read your posts! Moderators might remove personal information from posts – but you are completely responsible for your own privacy. It is a good idea to link to content rather than post it in its entirety. But only if you are the copyright holder or have permission from the copyright holder. Moderators may remove these links to protect users from potentially malicious downloads. Never click on links of other users if they seem to be suspicious. Always stay friendly and try to be helpful. Do not excessively “bump” a thread (post simply to get a thread to the top of the list). ARaction is not responsible for any damage that may occur due to content other users have posted. All information in this forums is provided without guarantee. You are using this information at your own risk! This topic was modified 2 years ago by Matt L.. This topic was modified 1 year, 5 months ago by Matt L.. This topic was modified 1 year, 2 months ago by Matt L..